It’s been another eventful year in the world of football. 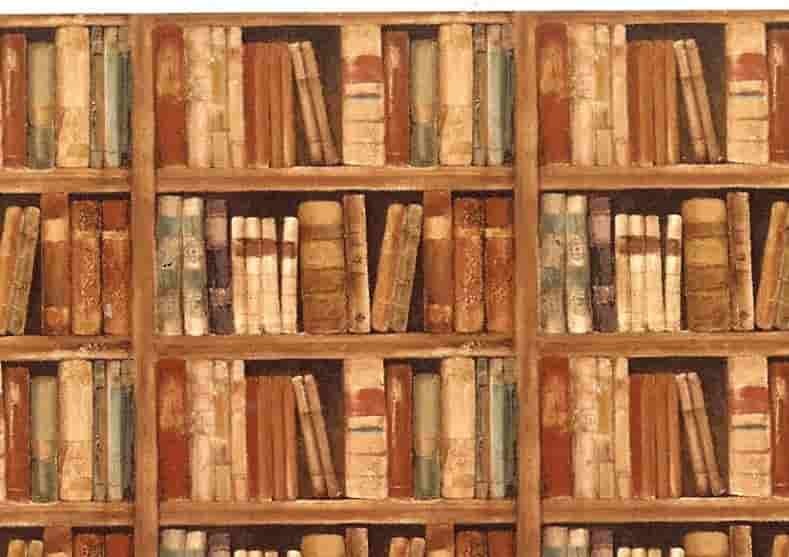 As we look forward to 2018, we have compiled a list of the best football books of 2017. The list includes books on football history, tactics, politics and much much more. Béla Guttmann was the first of a breed of globetrotting superstar football coaches, achieving his greatest successes before Pep Guardiola or José Mourinho were even born. He was also a Holocaust survivor. In 1944, much of Europe had wanted Guttmann dead. He hid for months in an attic near Budapest as thousands of fellow Jews in the neighbourhood were dragged off to be murdered. Later, he escaped from a slave labour camp before a planned deportation and almost certain death. His father, sister, and extended family were murdered. But by 1961, as coach of Benfica, he had lifted Europe’s greatest sporting prize―the European Cup, a feat he repeated the following year. From the death pits of Europe to champion of Europe in little more than sixteen years, Guttmann performed the greatest comeback in football history. 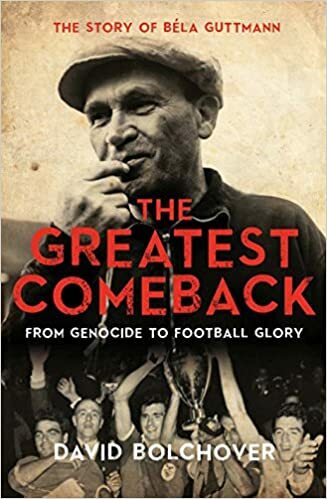 An extraordinary and compelling account of the life of football coach Béla Guttmann. Green Shoots examines why, almost a century after one Irish Association became two, this is still the case. It traces the overlapping stories and individuals in both associations, beginning with the tale of the boy on the front cover, Johnny Brown, a Belfast Protestant who played for Eire. Brown is the author’s great uncle. This is only one strand of the broader story of Irish football. 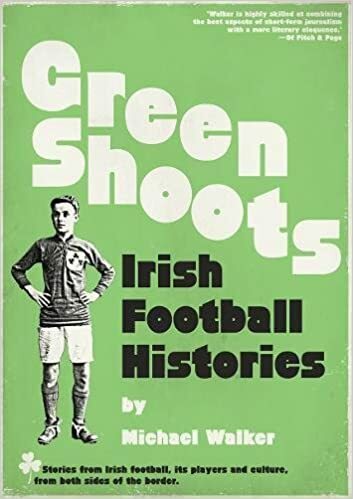 Green Shoots returns to the gures, often overlooked, who contributed so much to the growth of the game in Ireland and who made such an impact in England and Scotland too. Men such as William McCrum from Armagh, who invented the penalty-kick, and Billy McCracken from Belfast who changed the offside law in 1925 are brought back to life. A chronological thread leads from those men to Peter Doherty in the 1950s, George Best in the 1960s to Liam Brady in the 1980s and on to modern day players. Most football fans can only dream of pulling on the shirt of their favourite team and running out in front of thousands of adoring fans. Pitch invaders aside, few of us get to experience that adrenalin rush. Of those who do make it as a professional footballer, even fewer realise the giddy heights of success. 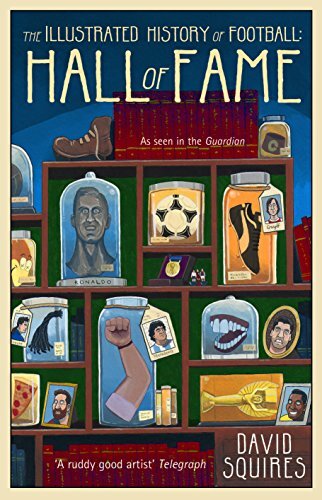 In the Illustrated History of Football: Hall of Fame, cartoonist David Squires returns to celebrate those who straddle the game like giants; those talented, determined souls who were juggling tennis balls in the back streets before they could talk. 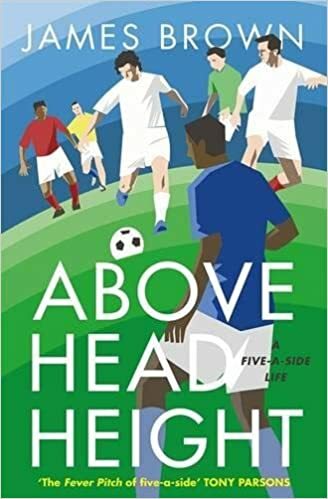 There’s more than one way to attain football immortality though, and Squires also turns his comic eye to the mavericks, the pioneers, the forgotten legends and the anti-heroes. 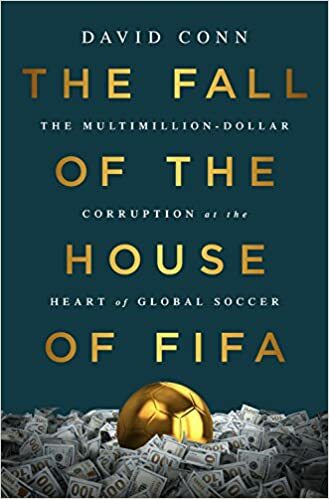 From Pele to Meazza, Maradona to Socrates, you will be taken on an unforgettable journey through the good, the bad and the Hagi. 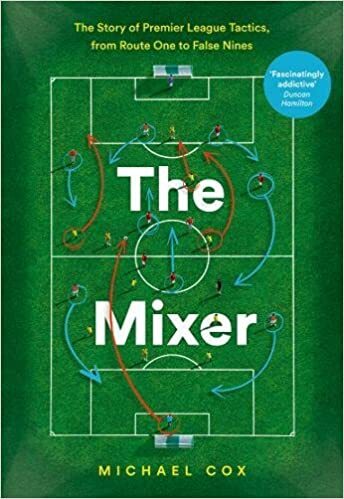 In Outside the Box, Duncan Alexander looks back at twenty-five years of the Premier League and beyond, uncovering the hidden truths and accepted myths that surround the game. Using the archives of OptaJoe and never-before-seen data, we discover why Liverpool have gone 27 years without winning a league title and why Lionel Messi is the best player in the game’s history. Or is he? 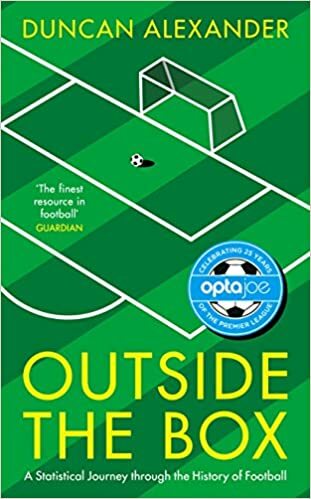 Insightful, wry, and hugely entertaining, Outside the Box is a hugely entertaining and accessible account of football across the decades, analysing data from the some of the greatest seasons, players, teams and managers.